Fijian Organic launched yesterday is the new inclusion to the growing Fijian Made brand. It gives recognition to local producers who make an effort to use organic farming methods. The Minister for Industry, Trade, Tourism, Lands and Mineral Resources, Faiyaz Siddiq Koya officiated at the Fijian Organic Launch at the Sofitel Fiji Resort and Spa Ballroom, Denarau, Nadi yesterday. “The Fijian Organic is certified based on either recognised international standards certification or certification under the Pacific Guarantee Scheme (PGS) with POETCOM,” Mr Koya said. The Ministry of Agriculture, in partnership with Ministry of Industry, Trade and Tourism (MITT), UNDP and Organic stakeholders, is developing a National Organic Policy Framework. “I have been informed that by December this year, a consultant will be engaged to work on a draft National Organic Policy for Fiji. “I therefore urge all organic stakeholders to give priority to this policy by participating in the consultations. 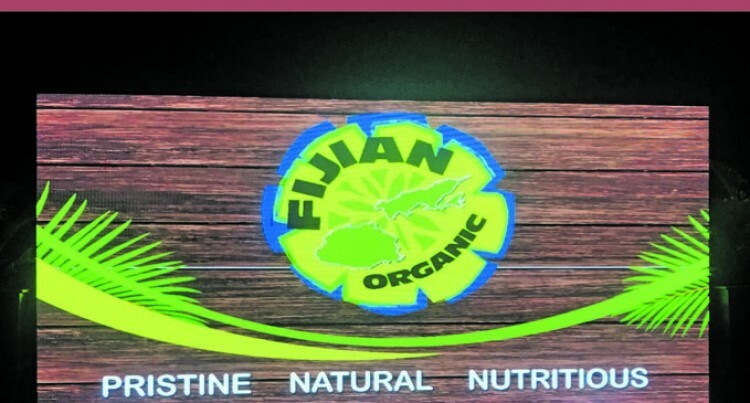 “The Fijian Organic is a beginning of a new journey for Fiji by providing a platform for the development of organics. “The organic market worldwide is growing as consumers are becoming increasingly health conscious and are concerned about the environment. There are untapped opportunities for Fijian producers in the domestic and global market, Mr Koya said. “Brand Fiji is renowned worldwide for its products and services. Organic food are grown without any artificial pesticides, chemicals, drugs, or hormones. Organic foods are grown or raised with a method that differs from industrial food. “These are grown using healthy soil, which give a good flavor to the food. “Moreover, they are grown locally thus ensuring that they are fresh at the time of consumption. “Organic foods are also more environmentally friendly because there is no use of chemicals in their production. “Most people who turn to organic foods do so because of its health benefits. Through Fijian Organic, the Ministry of Industry, Trade and Tourism will partner with Ministry of Health and Medical Services on a joint media campaign informing people of the benefits of producing and consuming organic products. The ministry will also work with the Ministry of Agriculture to ensure that extension services to farmers are readily available and that the farmers are up skilled with organic farming methods. “There needs to be a consistent supply of organic products in the market. “In addition to promoting Fijian Organic and the entire Fijian Made brand, we are now working towards engaging an export capacity specialist. “The specialist will undertake market research and provide advice to companies in establishing pathways and negotiating product placements with international retail chains for improved market access. I would like to urge other companies who are organic producers to apply to the Ministry for certification. “The Fijian Government will not only promote these licensed companies in the domestic markets but provide them the necessary support to secure markets for their products internationally as well,” Mr Koya said.